Serving the people of God while we worship in the church is a way of growing closer to God. Altar Servers assist the Priest and Deacon at Masses, weddings, funerals and other special liturgies and services. Their duties include lighting the altar candles that symbolize Christ as the light of the World; they carry the cross to signal the start of the Liturgy; they prepare the altar for the Eucharist and present the missal to the Deacon or Priest; they ring the bell signaling the consecration of the Body and Blood of Christ; and finally, clear the altar and lead the recession at the end of the Mass. Baptized girls and boys can begin participating in this ministry once they reach the 5th Grade. Adult Servers assist the Priest at daily Mass and at Funeral Masses. God speaks through the Scriptures. A lector is one who proclaims the Word of God at Mass and other services. Lectors read 1st and 2nd Readings of Sacred Scripture, the Prayers of Petition, and any announcements. They serve God by communicating His words to the parish community and experience a joy that comes from serving the Lord and others. The Lector Ministry is a great way to serve the Parish community. Extraordinary Ministers of Communion are men and women who are called to this ministry after prayer and reflection. 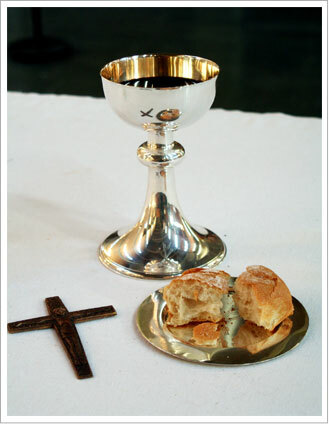 Eucharistic Ministers are those that have developed a good prayer life and who regulary attend the weekly liturgy. It is a privilege to be called to be a minister of the Eucharist and to nourish our brothers and sisters in the community with the Body and Blood of Jesus. Eucharistic Ministers administer the Sacred Body and Precious Blood of our Lord at Mass, to the sick, and to individuals unable to leave home and come to Mass. Any man or woman who has received the Sacrament of Confirmation and feels so called to be part of this ministry should contact the parish office. Please, contact the Parish Office if you are interested in serving in any of these ministries.